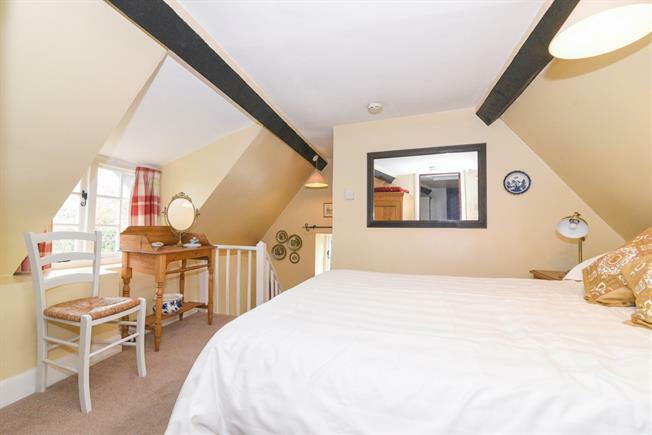 Tythe Barn Thatched Holiday Cottage nestled in the Cotswolds near Stratford upon Avon, Warwick Castle, Evesham & Sudeley Castle Gardens. 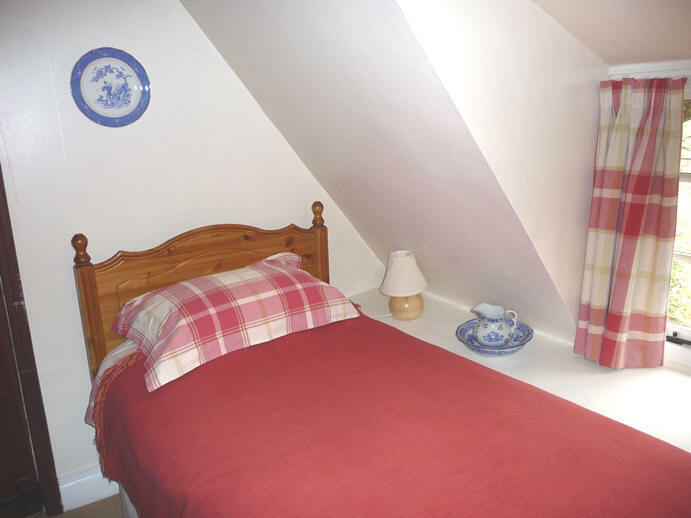 There are two bedrooms one double and one twin providing a sleeping capacity for up to 4 people. The main bedroom has a double bed, wardrobe and drawers. The second bedroom has two single beds and a wardrobe. 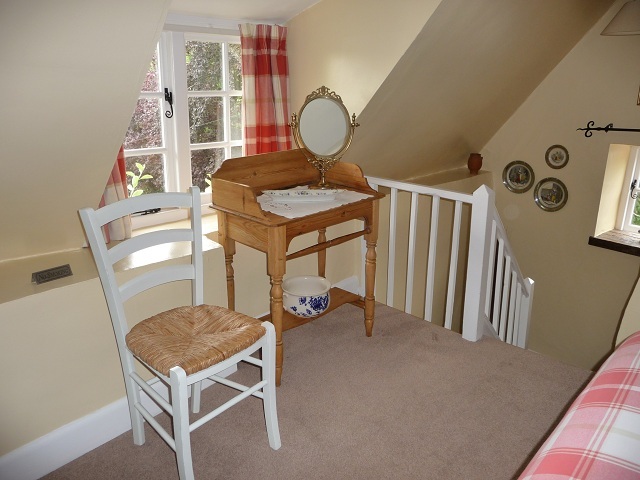 Access to the second bedroom is via the main bedroom. 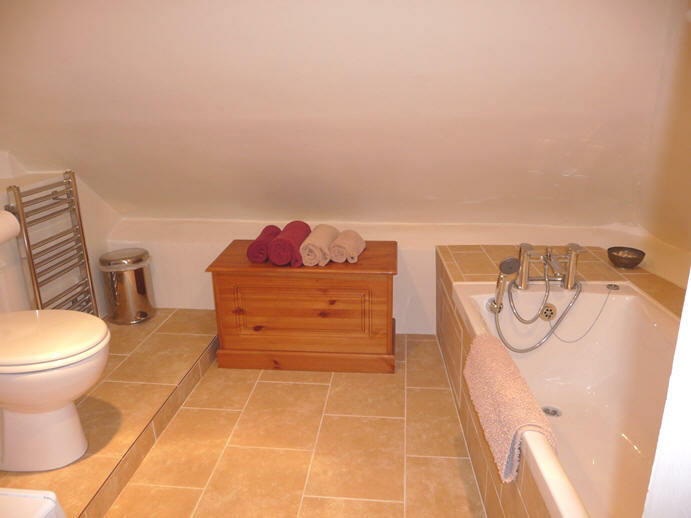 Access to the bathroom is via the second bedroom.